Discussion in 'The Lounge' started by IH8Rice, May 11, 2012. Carol Shelby has passed at the age of 89.
creator of the Cobra Roadster, the Ferrari beating Daytona Coupe and many other gorgeous iconic American muscle cars. You know you have accomplished a lot in life when you probably can be buried in a casket that has been branded with your name. I opened this thinking, 'it better not be shelby'. R.I.P. Mr. Carol Shelby. I loved his work, ethics and attitude. True American and automotive legend and now his cars will go up in value even more now. Damn. Gonna have to fire up the Xbox and do some racing tonight. The final CSX was 1989's CSX-VNT. This would also be the final Shelby Dodge, and marked two notable technological advances: the introduction of a Garrett variable-nozzle turbo and the application of composite wheels. Designed by Shelby and produced by Motor Wheel Corporation,known as "Fiberrides" lighter than contemporary wheels. The engine was the new intercooled Turbo IV equipped with a Getrag A555 5-speed transmission. The variable geometry turbo vanes were computer controlled and needed no wastegate. Instead, they adjusted the flow of exhaust gasses to spool up instantly and provide strong power. Power remained at 175 hp (130 kW), but torque was up to 205 ft·lbs (278 Nm) at an unheard of 2100 rpm. Full torque was available from this low rpm to well past redline. Turbo lag was eliminated, with full boost (15 psi spike) available at 2100 rpm. The intense powerband, coupled with the car's low weight made the CSX-VNT very fast on the street. Car and Driver magazine called it "a high tech hot rod" and "a technological showcase" and were impressed with the engine's flexibility and top-gear acceleration. (They tested it up to 156 mph) Synthetic oil and premium fuel were specified for use with this car, and those who neglected this would regret it as they are needed to prevent turbo overheating and prolong engine life. Mechanics, often overwhelmed by such a complex turbo setup began rumors of carbon deposits and sticking vanes in the turbos. Rather than diagnose the problem, (often a failed solenoid) replacing the VNT with the simple but lag-prone turbo II was common. Examples with the VNT system intact are today considered more valuable to collectors. Shelby installed emblems in the engine compartment specifying Mobil 1 oil only, as he did on other Shelby Dodges. These are often missing on well-worn examples. A ground effects package produced by Kaminari Aerodynamics gave the CSX-VNT a ground hugging appearance. The suspension was also modified, as the alignment specs are radically different from the other Shelby Dodges. Shelby chose Exotic Red, a mix of bright red and maroon, with gold wheels and trim to finish this car. The MSRP price was $15,995, according to NADA Guides. Production was limited to 500 vehicles (including two prototypes) and with the completion of cars, Carroll Shelby's direct involvement with Dodge was over (although he continued to work on projects with Chrysler, often taking advisory roles, which included the development of the Dodge Viper and Viper GTS). 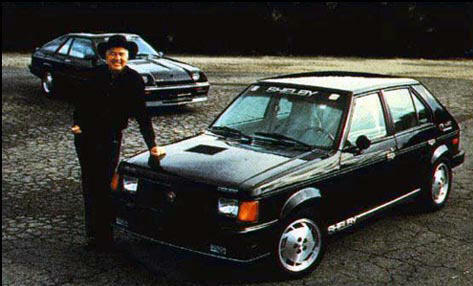 The 89 Shelby CSX production figures can be broken down into the following: 15 were equipped as 'two option', coming factory with 225 wide tire option as well as RECARO buckets. 2 were used as prototypes. 2 were equipped with non-RECARO and wide optioned tires. The remaining were either RECARO or non-RECARO equipped cars with regular size tires. 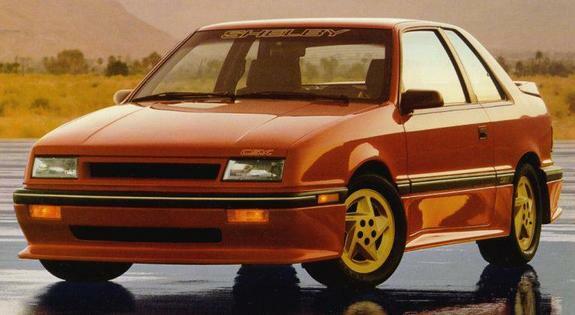 The 1989 Shelby CSX-VNT proved to be a true domestic exotic, showcasing technologies not seen until 2006 when Porsche utilized variable vane turbos for their new 997. The front air dams and rear wing can still be purchased from Kaminari Aerodynamics. The wing is now equipped with an LED brake light built into it. The front air dams are slightly different than the original factory piece. I had an 89 Daytona Shelby Turbo II. It was my first fast car and the beggining of my love for turbo cars. RIP Mr Shelby. Velocity TV is airing 3-part, 3hour mini series starting Sunday about Shelby! 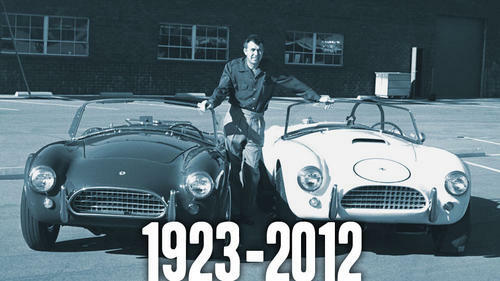 This May, Velocity pays homage to an automotive legend in the definitive profile of America's car king, Carroll Shelby. A pioneer in racing and automotive design, Shelby put America on the map in a racing culture long dominated by European drivers and styles. In honor of his recent passing, Velocity presents the world premiere mini-series KING OF THE ROAD: CARROLL SHELBY, debuting Sunday May 20th at 8:00 p.m. Eastern. The three part series will follow Shelby's exploits as a hard-working Texas farmer all the way to the victory lane at Lemans, where he became the first American to take home the cup. After his racing career came to an abrupt halt, Shelby would partner with Ford to create two of the most iconic muscle cars to date. Velocity takes you on an exclusive journey, unveiling Shelby's irreplaceable legacy on car culture. The exploits of the hard charging Texas farmer turned racer are explored. From his humble early stages, Carroll Shelby takes on and conquers the world of international sports car racing at Le Mans and builds the most iconic American sports car, the Cobra. 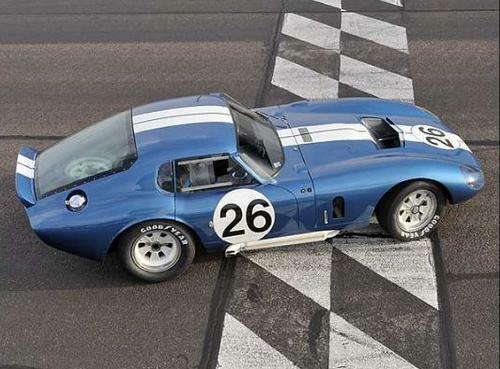 Carroll Shelby teams with Ford Motor Company in 1965 and transforms the Mustang into a true race car; the GT 350. Four decades after the original GT 350, Shelby builds a new GT 350 with Ford's latest Mustang. Borrowing the concept from his original Shelby Mustang GT 500 of the 1960's, Shelby and Ford build a boulevard brute with Ford's new big block Mustang. Shelby American transforms the new Shelby Mustang GT 500 into the world's fastest production Mustang. I wonder if Cos will attend the funeral.